As we may already know the Infinix Hot X507 is one of the most sold smartphone this 2015 since it hit the market in December 2014 but Somehow, this was only the tip of the iceberg, Infinix Mobility has hit the market again with an Upgraded model, The Infinix Hot2 X510! The Infinix Hot2 X510 also known as #TheHOTtest One is here with an amazing new approach being the first to hit the country with Google's Android One smartphone! 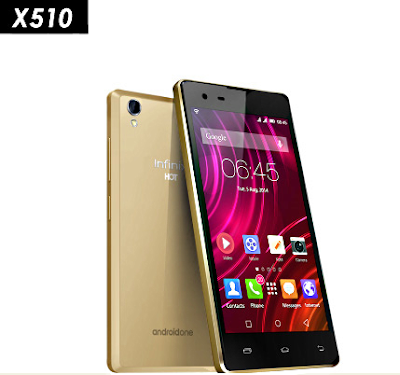 This new Smartphone is a remake after considering feedbacks of thousands of users of the predecessor (Infinix Hot). As stated ealier, One cool stuff about the new HOT 2 is the Fact that it's actually the very first ANDROID ONE smartphone (in Nigeria). 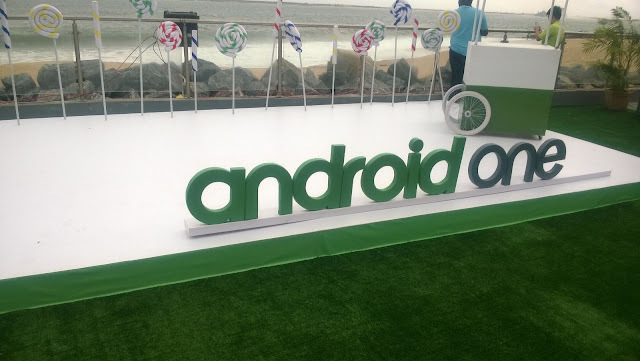 "These tech guys have come, which one is Android One again.."
Android One, Infinix Hot 2 Launch event, Landmark Centre, V.I Lagos. Android One is a line of consumer electronic devices that run the Android Operating System, it was launched about a year ago. It is a standard created by Google for Android systems, mainly targeted at people buying their first smartphone. I think with that, the devices should be able to reach every class of people. This is exactly what has been applied on the new Infinix Hot 2 Device and the unique move by Infinix Mobility was so stunning that before, during and after the Launch Event on 18th August, 2015 (which we also attended), it was Featured on the Biggest Authorities in the News, web and Mobile Industries like TechCrunch, WikiPedia , GSM Arena, Official Android One site amongst many others. The smartphone came in Two variants, a 1GB RAM and 2GB RAM both comes with 16ROM. The Body is really smooth and glossy with pretty nice curved edges, more so, the smartphone's LCD display comes fully protected with a Dragontrail X glass which makes it anti-scratch and scruff. YouTube Offline - This Debuted in India in 2014, it's now available in Nigeria with Hot 2. The feature allows users to save videos to play offline for a period of 48hrs. Offline Maps - Bits of Google Maps is saved for offline access. Streamline Search - Search becomes 33% faster and uses less data than normal search. In this regard, the engine detects the connection strength first and sends a smaller chunk of data to the user's device. 3G - Up to 22.2 mbps downlink; Up to 5.76 mbps uplink (For Super fast browsing). We'll tell us more once we test it out and publish a Hands-on review of the new Infinix Hot 2 device in few days. I woulda switched buh the battery ain't enough 2,200mah wouldn't last that long and I've gotten pretty accustomed to Hot note's 4000mah. If only they'd just roll out MARSHMALLOW updates for HOT NOTE and I wouldn't even look at this phone sef..
See samuel, that's what made this new Infinix Hot2 to standout, with Android One they assure latest updates as it is Certified by Google. Does it support quick charge?? Yea... I really love it. It's got *dope* features, meanwhile the only interesting thing about this Hot 2 is the Android version and future OTA updates. The network chip in this infinix hot 2 is rubbish.. The guy is regretting buying it.. I am still testing the device, I'll confirm what you said and tell us more when the Hands-On Review is published here soon.